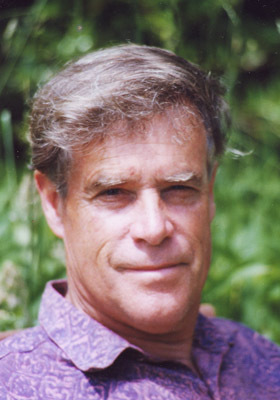 John Ernest Foster (10 July 1942 – 19 August 2003) was a New Zealand artist and farmer. 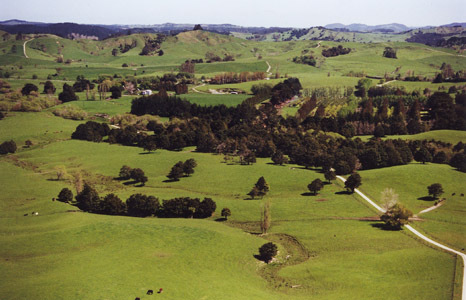 He lived most of his life on his farm near Wellsford, north of Auckland, with several years spent living at Mangawhai Heads. He was married to sculptor Pat Foster. 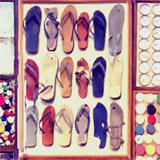 He was an artist for over 30 years, from the early 1970s till his death in 2003. 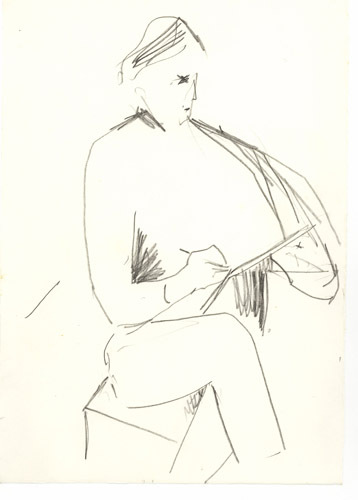 He attended four summer schools at the School of Fine Arts, University of Auckland from 1968 until 1971. 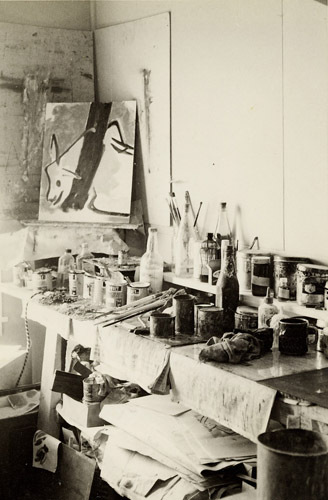 His tutors included Sir Tosswill Woollaston and Colin McCahon. He maintained a correspondence with these artists, as well as fellow painter Michael Illingworth. John was a prolific painter and printmaker. During his lifetime he created 15 large murals and several hundred small paintings, and made in excess of 1300 editions of prints. He had over 50 exhibitions of his work at commercial and public art galleries, and his murals were shown on television several times. While attending the summer school in 1970 he met fellow artist sculptor Patricia Vance (later known as Pat Foster). The couple were married in 1971, and went on to have two children. In 1972 John and Pat left the family farm in the hands of a manager. They moved to Mangawhai Heads and built a small cottage. The couple initially used the spare bedroom as a studio, before building a workshop with the money gained from an Arts Council Grant. Pat gave John a printing press for an engagement present, which she purchased off printmaker Stanley Palmer. John began the highly experimental print series Coffee Cup at this time. Shortly afterward John started work on the Shearing mural. This began the period of John’s career where he recorded scenes around him. His experiences as a farmer gave him material for several murals to follow. 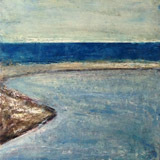 His fascination with the coastal scenery around him is apparent in the Beckoning Land series, and the Picnic on the Beach mural. 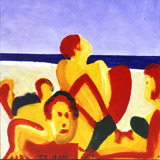 The Picnic on the Beach took four years to paint. During this time John also created the collage mural Noonforecast. 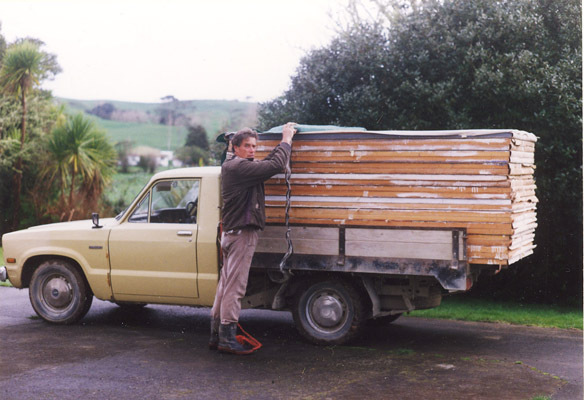 In 1977 John, Pat, and family visited South Canterbury for seven months, staying in a cob cottage, trampers huts, and shearers quarters while John painted the works that would become the Seven Months in South Canterbury mural. 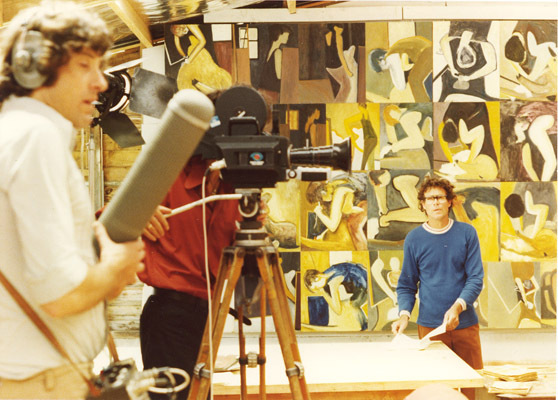 In 1978 John resurrected the sketches he made during the birth of his daughter in 1972 and created the Forceps Delivery mural. This was followed shortly after by the Cattle Sale mural, the first work that was deliberately planned as a mural. 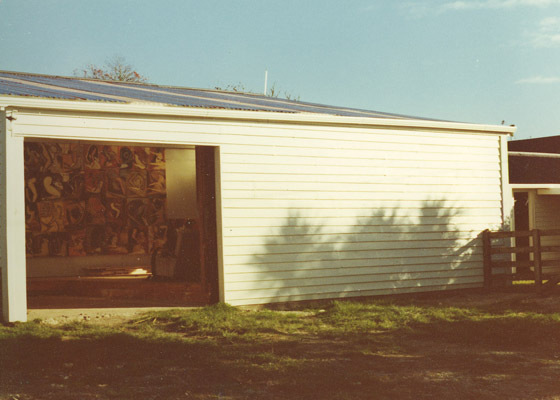 In 1979 John and Pat moved back to the family farm at Wellsford, funds being too short to continue their careers as full time artists. The couple renovated a farm shed to become a large workshop which they shared. 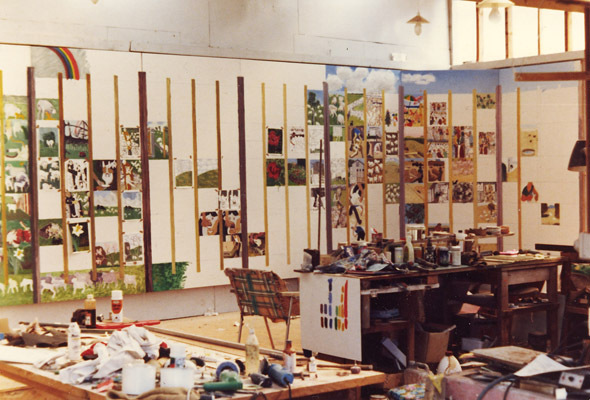 The extra space allowed John to hang all the panels of a mural in advance of painting. This was an important development in the creation of murals, and he would use this technique for the rest of his career. 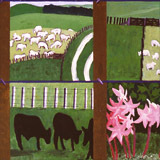 Daily life on the farm inspired the Four Seasons on the Farm mural. This took four years to paint. 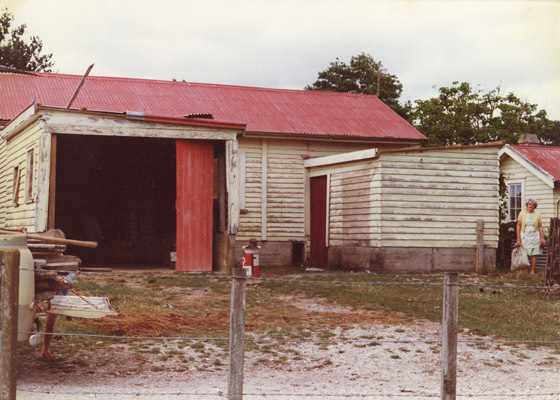 During this time Pat and John also undertook extensive renovations of the 1930's farm house. 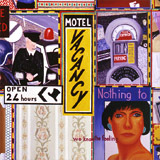 1985 marked a departure from rural subject matter, as John developed a fascination with the media portrayal of popular culture. The Prayer and Healing Service mural juxtaposes images gathered from fine arts, mass media, and his own observations. 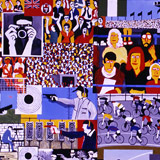 In 1988 John began painting the Commonwealth Games mural, which was displayed in the Games Village in Auckland during the 1990 Commonwealth Games. Pat and John continued farming, with the farm gradually becoming more prosperous. By 1990 the farm was running solely beef cattle, the last of the sheep having gone the previous year. The combination of increased funds and the lighter workload allowed the couple to take several overseas trips together. In 1986 John travelled overseas, spending several months in the United States and Europe. This inspired several more murals. 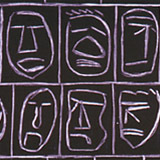 The Graffiti mural in 1990 stemmed from the New York subway trains. This marked a reduction of the recording of the world around him, and a shift to more abstract concerns. 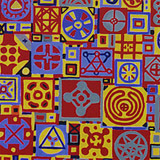 The Creation mural is an intricately crafted network of connections, slowly shifting from a mixture of grey at one end to ordered primary colours at the other. 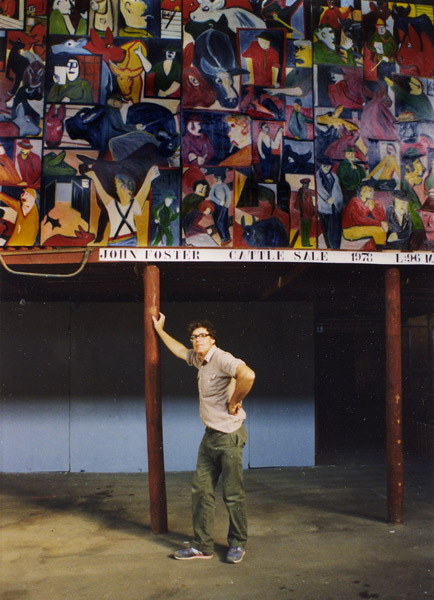 The death of John’s brother in 1992 coincided with the Requiem mural, which John dedicated to him. After viewing the works of several Great Masters during his overseas travels, John paid tribute to these in this mural. The Transfiguration mural was an exploration of the grey end of the Creation mural, and contained multiple images, particularly of faces. It continued the sombre themes introduced by the Requiem mural. Overworld Journey was the depiction of the world seen from 10 000 metres. The idea had been conceived during John's 1986 travels, but had to wait until John had collected enough photographs taken from aeroplanes. John’s final mural was Journey to the Underworld. 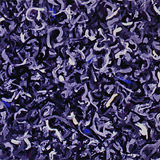 He became ill during the painting process, and was diagnosed with cancer in 2002. 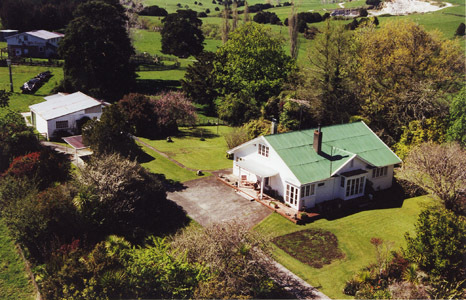 In 2003 John and Pat left the farm and their large workshop. 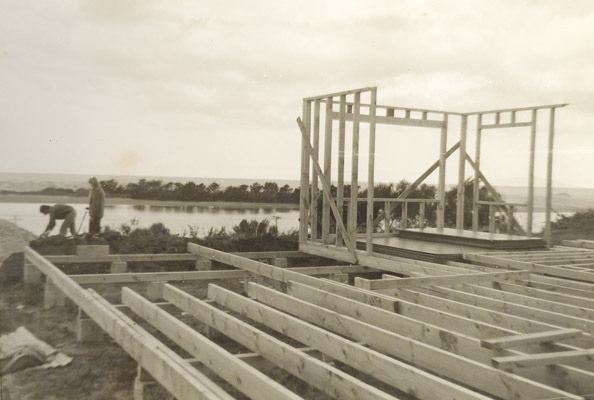 They returned to the cottage they had built at Mangawhai Heads, where work space was more limited. Although John had created murals in this space previously, his ill health prevented him from attempting any more large works. His final unfinished series A Walk in the Bush marked a return to nature, using subjects accessible from the garden. 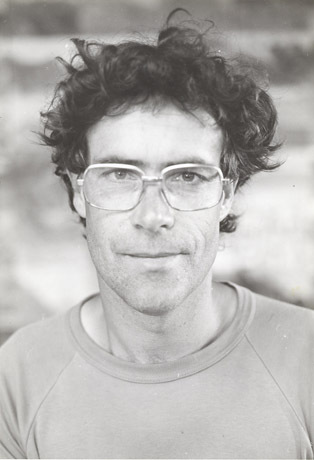 John died on 19 August 2003. He is buried at Tara Cemetary, near Mangawhai.